Green beans are a common sight in summer gardens. If you enjoy your green bean harvest, you can enjoy it again next year by saving seeds from this year's crop to plant for next year's harvest. Saving green bean seeds is beneficial in more ways than one: Not only will you save money on seeds for next year's garden, but you will also know the type of crop you will be getting, especially if you save your seeds year after year. Seeds from your own green bean harvest also make great gifts for friends and family members who are also garden enthusiasts. 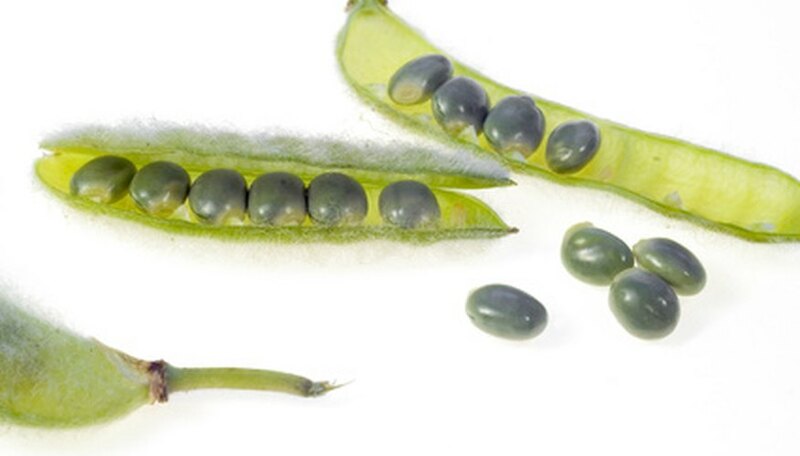 Leave a few healthy green bean pods on the plants at the end of the growing season. These pods will dry naturally on the plant, which can take up to four weeks after harvesting the other pods for eating. Twist and pull the pods from the green bean plant when they have turned brown and you can hear beans rattling inside. Spread the pods out in a single layer on a window screen that is laying flat on a counter. The pods should be allowed to dry for two weeks indoors. Be sure the screen is in a cool but dry area. Shell the seeds from the pod by splitting the pods open with your fingers. Let the seeds drop back onto your screen, and separate the seeds from any debris. Place the seeds in a paper envelope and store in a cool, dry area until it is time to plant them. Large quantities of bean seeds can be placed in a glass jar with a slightly loose lid. If frost is expected before the bean pods are dry on the plant, pull the entire plant out of the ground and hang it upside down to dry inside. If seeds are not completely dry, the can develop mold and mildew while in storage.